Football clubs pay millions and millions for new players, and prices for sports media rights are skyrocketing. Big companies such as Red Bull invest huge sums into Formula 1, hockey, extreme sports and – much to the regret of many traditionalists – into football clubs. 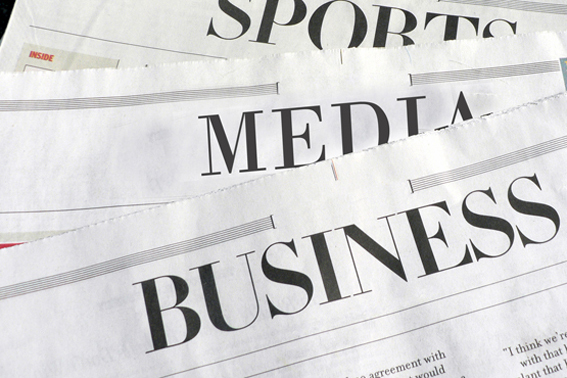 Fact is: Today, sports and business are inseparably interwoven. Or to put it more bluntly: Sports has become a business. That implies: The sports industry is professionalizing. This, in turn, calls for specialists in sports management – not only in the clubs but also in the companies which, mostly via sponsoring, are closely connected to sports or in whose business model sports is an integral component. In this article, I will highlight the knowledge and skills that are needed in this environment. Let’s best start at the beginning: I selected a few very impressive figures as examples to illustrate the development in sports business. 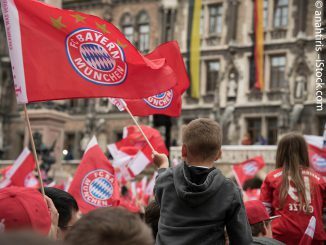 Let’s talk about media rights in football: How much do TV broadcasters pay to bring “King Football” from the stadium into the republic’s living rooms? The television rights for the Bundesliga (National German Football League) season 1965/66, when these rights were sold for the first time, were – from today’s perspective – quite a real bargain: Back then, public broadcasters ARD and ZDF paid 650,000 DM, approximately 300,000 Euro. Ten years later (in the season of 1977/78) the price had already risen to 5.38 million DM, and yet another ten years down the road to 40 million DM (season of 1988/89). The next quantum leap followed in 1992/93, when Kirch-Springer subsidiary ISPR put 700 million DM (approx. 145 million DM per season) on the table for the broadcasting rights for the following five years. And today? The price for the recent Bundesliga season 2014/15 is roughly 628 million Euro. In 2016/17, when the current contract will have expired, it will rise to 835 million per season. By the way, compared to the British Premier League, this is still comparatively inexpensive: For commercialization within the UK alone, British Telecommunications and Sky paid 6.9 billion Euro for three seasons! In other sports, developments are not that drastic, but the same trend is obvious there, too. Take tennis, for example: Until 1989, it had cost the German public broadcasters ARD and ZDF the moderate amount of 150,000 DM to send the prestigious Wimbledon tournament. In 2011, Sky paid half a million Euro for it. At this point, I could continue quoting countless financial index figures from sports business: For example, the rising turnovers of sports clubs (Bundesliga achieved its 10. turnover record in 10 consecutive years); or the investments in sports sponsoring (in 2015: worldwide more than 45 billion USD and about 970 million Euro in Germany), where companies pay ever increasing contributions to profit from the positive image of sports and its performers. And even the sports rights marketers themselves have immensely increased in value: In February, a Chinese investor bought Infront for more than a billion Euro. As mentioned, professionalization and capitalization of sports requires experts with distinct theoretical knowledge und the capability to put it into practice. I like to call this requirement profile the “magical triangle of sports, business and communication”, with communication meaning the profound knowledge of the media system, referring to the very close enmeshment between sports and the media sector. Experts of this profile are in high demand today, and this demand will increase even further. Yet other countries are way ahead of us: Think about sports marketing in the USA, which was professionalized at a much earlier state than here. Not to forget the often quoted lagging of Germany’s Bundesliga on Asian markets. In the past years, however, DFL and the clubs have intensified their efforts to catch up. One reason for the slower progress certainly is that in Germany, professionalization in sports management was not backed by the necessary training offers. For this reason I founded the study program Sports Business and Communication four years ago. The program precisely meets all requirements to prepare students for a career in sports management. I am convinced that such a study program is an absolute necessity: A “standard” study program in business may treat theoretical management basics and impart more specific in-depth knowledge in certain areas. The topics of sports and communication/ media, however, are generally not sufficiently addressed. Workshops, seminars, advanced training courses or concise study programs, adorned as “sports management”, are also not suitable to impart the required understanding to any satisfactory degree. A professional, officially approved study program is required, specifically tailored to the requirements of the sports business sector. Other industries also expect sector-specific expertise from their managers (and justifiably so!). Why should that be different in the very specific and complex sector of sports management? Executives in sports business often work on an international level. Rarely are their management activities limited to one single market or one region. I therefore believe that it’s recommendable to get experience in working abroad as a student already, for example by a semester abroad at an international partner university. Another factor in the training which I believe is indispensable is practice-orientation: When choosing teachers and lecturers, I place high priority on proximity to professional practice and the talent to pass on practical experience to students. Another useful aspect is that – in this approach – students can set up a professional network while still studying. Such contacts are very helpful, in particular in sports management, for example for practical training terms or later employment after graduation. 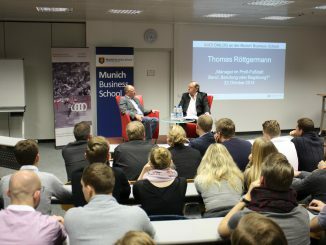 I further consider it necessary that my students get insights into companies that – in whatever role – are involved in the sports sector and perhaps even pioneers: for example sports sponsoring agencies such as akzio!, rights vendors such as sportsman media group or companies such as Audi or Allianz, which are cultivating an explicit sportive image. Sports management is a highly interesting, diversified professional field with countless and fascinating areas of activity and brilliant future perspectives. 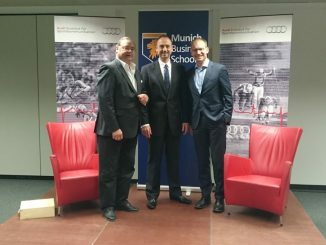 I am very happy that my study program “Sports Business and Communication”, in this form unique in the German-speaking sphere, has been well established and enjoys excellent reputation among students, graduates and also corporations. I am proud to see that so many of my former students now hold responsible positions in large companies – making their contribution to shape the future of sports business.